The John A. Logan College is located in Centerville, Illinois, eight miles west of Interstate 57 on Illinois Route 13. The college has a web site and posted enrollment for 2000 was almost 14,000 students with 765 full-time and part-time faculty and staff. The college was accredited by the North Central Association of Colleges and Schools in 1967. Tuition is among the lowest in the state at $54 per semester hour. On page 82 of the �Scots of Chicago� there is a wonderful picture of six ladies about to take a ride in a 1928 Studebaker. The back of the picture said that the ladies were on their way to church and that the automobile was given to the Scottish Home by John T. Cunningham. Recently, in some of the old boxes, we found the papers on the Studebaker and the information contained in the picture is not totally correct. 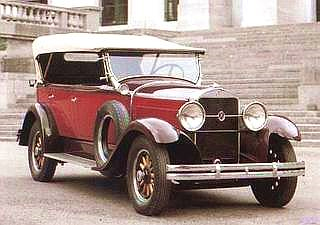 The car was purchased on June 7, 1928 from the Studebaker Sales Co. whose showroom was located at 2030 South Michigan Avenue. The cost was $1,640.00 including the license application. It appears that some 38 individuals made donations and the largest was from John T. Cunningham. There are some familiar names on the list like: James Simpson, Mrs. J. B. Forgan, Jr., R. Douglas Stuart, Gilbert Alexander, Robert Somerville, W. B. Mundie, Charles R. Stuart, James Shepherd, and William Lister. The car was to be delivered to 4700 W. Washington Blvd. It is not noted who lived at this address. The car was actually sold to Dr. W. F. Dickson, 6200 Kimbard, but it does indicate that automobile was for the Scottish Old Peoples Home. A week later the oil was changed at a cost of $2.00. When the book is reprinted, we will correct this mistake and others as well. Navy Cmdr. Laurel Clark was born in Iowa. She was the oldest of two girls and two boys. Her parents, Margory and Robert Salton divorced and her mother later remarried Richard Brown and her family increased to nine. The Browns moved to Racine, Wisconsin and became friends with another family of eight. The female members of these two family once took a pre-Christmas trip to Chicago. They came by train, stayed at the Drake, went to a show and ate in the Cape Cod room. Unable to serve on submarines because she was a woman, Clark decided to become a flight surgeon which led eventually to her becoming an astronaut. Her final journey ended February 1, 2003, on the space shuttle Columbia. The crew on Columbia was divided into �Blue� and �Red� teams. On that fateful morning, the �Blue� team was already working when the final wake up call was given for Columbia. The music that morning had been chosen by and dedicated to Laurel Clark. The final song played in space was �Scotland the Brave� by the Black Watch and the Band of the 51st Highland Brigade. On day five, she had chosen �Amazing Grace� also by the Black Watch and the Band of the 51st Highland Brigade. The second number in her requested wake up call on the that last morning of day 17 was the �Black Bear.� This traditional pipe number is used by many Scottish regiments to celebrate their return march back to the barracks. Today the Boston Marathon and New York City Marathon are clearly the most important marathons in the country. They both had rival athletic associations when Caledonian Clubs were formed in the 1850's. The clubs celebrated the ethnic traditions of immigrant Scots, which included track and field sports. They were the first social groups organized for staging athletic competitions. Cincinnati, Ohio, claims that the first Caledonian Club in the United States was formed in their city in 1827. At one time Chicago had a very active club which held annual picnics for their athletic events. We do not know when it ceased to exist. The Caledonian Clubs were at least semi-professional in an era when professionalism meant more than simply payment. Amateurism was also a social distinction that further excluded the working-class athletes who joined the Caledonian Clubs. Other clubs soon formed that recognized members on the basis of wealth and social position as much as athletic talent. The New York Athletic Club and later the Boston Athletic Association began the marathons as we know them today in 1897. There are several Caledonian Clubs in the United States, but the number is unknown. We are aware that New York City has a Club (www.nycaledonian.org) and San Francisco. 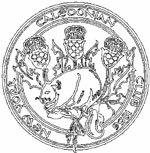 Do you know of other Caledonian Club in the United States? Information taken from the Internet. We continue to collect information about Carnegie Libraries in Illinois. We now believe that that 1,412 libraries in the United States received grants to build their buildings. Indiana received the most at 155, California was second with 121, and Illinois is third with 105. Maryland and Nevada have one library each. The Midwest region received a total of 633 libraries, the Northwest 252, and the Far West 180. We have previously mentioned that the City of Chicago has no Carnegie Libraries. On a recent trip to Jacksonville, Illinois, I visited their beautiful Carnegie Library. The building has been enlarged and made handicapped accessible, but the original building remains intact. It is really a magnificent building and the care and maintenance is immaculate. In the lobby is a bust of Carnegie and Robert Burns. The inscription says: �Robert Burns the Scottish poet was commemorated about 1900 in this marble bust by Robert Campbell Smith. 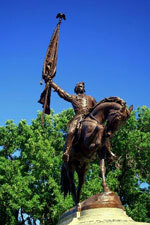 Smith, a Scottish immigrant came to Jacksonville in the 1850's where he worked as a sculptor, painter, and stonemason. He made the bust from a photograph of Naismith�s portrait.� More information to follow in the next edition. From Rothesay to Rothsay, one Scottish railway official�s desire for his hometown legacy brought with it more than a thousand years of history to the prairies of Minnesota. Our thanks to Mrs. J. A. Patterson for this article. As the resident human in the home of Scottish Terrier Molly McDoo, I found the Tribune story �At Kennel Club event, a search for Worst in Show� to be a bit disparaging of the Celtic pooches who are as tough and independent but as loving and loyal as the Scottish lands and the Scots who bred them. It is not for naught that in the Franklin Delano Roosevelt Memorial in Washington, D.C., a 4-foot-high Fala joins his beloved master in bronze. And now having met Barney Bush, who shares the White House with President and Mrs. Bush, I can assure you that Barney is a very socialized browser, though a bit of a scamp. But Scotties are not for everyone. They decide whom they want to love and when and for how long. For those who want a constantly loving and gushing pooch, that would not be a Scottie. My Molly McDoo does parades, visits schools, gets along with everyone but for what she determines to be the appropriate time period. She is especially fond of man and was even quite willing to take in a little male pound dog. Andrew is now her fast friend. All that one can say about all of this is, great Scot. The above article was printed in the Chicago Tribune on March 6, 2004. 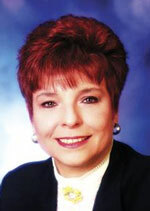 Judy Baar Topinka is also a member of the Board of Governors of the Illinois Saint Andrew Society. �Has Andhrew Carnaygie give ye a libry yet?� asked Mr. Dooley. �Not that I know iv,� said Mr. Hennessy. The publisher of Who�s Who in Scotland asked 3,000 prominent people in Scotland who was the greatest Scot of all time. The poet Robert Burns won the greatest Scottish honor. 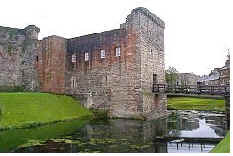 Burns won over Sir William Wallace and King Robert the Bruce. Sir Alexander Fleming, who discovered penicillin, won the Century award over John Logie Baird, inventor of television, and the poet, Hugh MacDiarmid. James Blair (1665-1743) was the founder of the College of William and Mary and was its first president. He emigrated from Scotland in 1685. John Macintosh, the developer of the Mackintosh red apple, was born in New York State. His father came from Inverness, Scotland. Apple computers have named a range of computers after him. Henry Wallace, the Secretary of Agriculture under F.D.R., was the grandson of a Scottish Presbyterian Minister. His invention of a hybrid corn increased agricultural production many times over. William Morton, an American dentist who pioneered the use of anesthesia was of Scottish descent. John Kay and Samuel Bard founded the first medical school in New York and called it King�s College. They both graduated from Edinburgh University. Samuel Guthrie (1728-1848) was a distinguished scientist of Scottish descent. He was one of the pioneers of vaccination and discovered chloroform in 1831.